How Do I Choose the Best Used ATV? Before buying a used ATV, take it for a test ride. In order for you to choose the best used all-terrain vehicle (ATV), you will need to examine several aspects of the vehicle. The condition of the body panels, bumpers and tires are some of the easiest components to check. Handle bars and grips, turn signals and exposed wiring are other areas that should be examined if you want to purchase the best used ATV you can afford. The seat should also be examined for signs of misuse when searching for the best used ATV. A test ride will often disclose the condition of the clutch, transmission and the all-around condition of the engine of a used ATV. 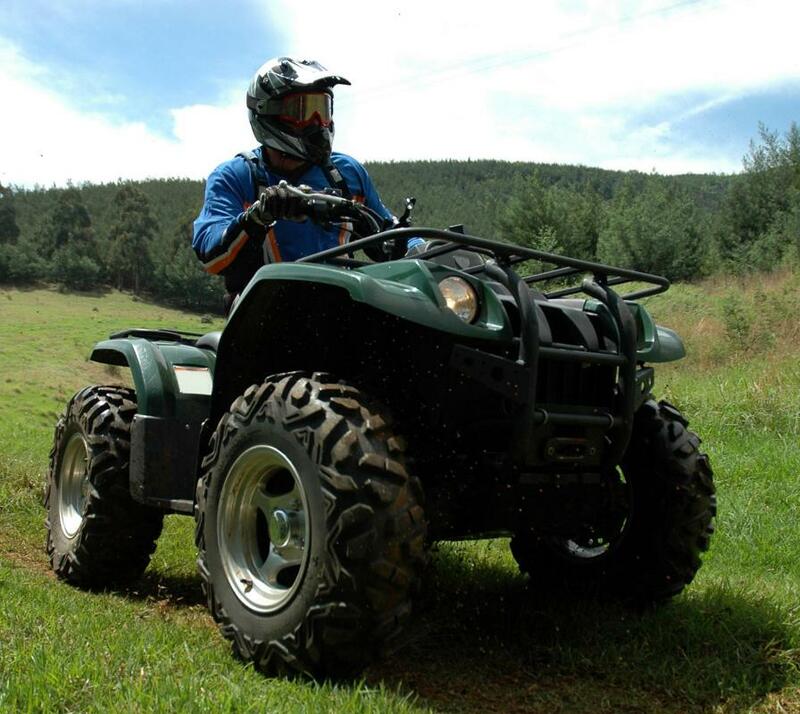 There are two, distinct components that can help in the search for the best used ATV: the visual inspection and the test ride of the ATV that must be performed prior to taking the examination to the third level, and the mechanical inspection. Once you have found a potential used ATV to purchase, you should set up a time to meet with the seller and inspect the vehicle. As you approach the ATV, begin taking mental notes as to the vehicle's stance and general appearance. Any mismatched body panels, discolored plastics and obvious bent frame components should send up a red flag as to this purchase. Other components to take note of are the tires and wheels, with bent wheels and balding rubber being signs of very rough use. Another visual warning sign might be a fresh coat of paint on the entire ATV. This often indicates that the owner is attempting to hide a visual defect of some kind. While a grocery list of new and replaced parts may indicate an owner who took great care of an ATV, it can also indicate a problem that was, or is, very difficult to locate. Any item that is described as being very easy and inexpensive to repair, yet is not repaired, should send up a red flag as well. Once a visual inspection has convinced you that the machine is a viable candidate for purchase, a test ride is the next step in the process of purchasing a used ATV. The test ride will disclose any issues with the clutch or automatic transmission in the form of slipping and chugging under power. The motor should be listened to for any signs of grinding, clunking or knocking. Chains and sprockets must also be examined when considering a used ATV, and any worn sprocket teeth could be a sign of misuse or poor maintenance. How Do I Choose the Best Discount ATV Tires? What Is an ATV Jack? What Are the Different Types of ATV Seats? What Are the Different Types of ATV Fenders? What Are ATV Street Tires?